Having trouble fitting that wide graph in your document? 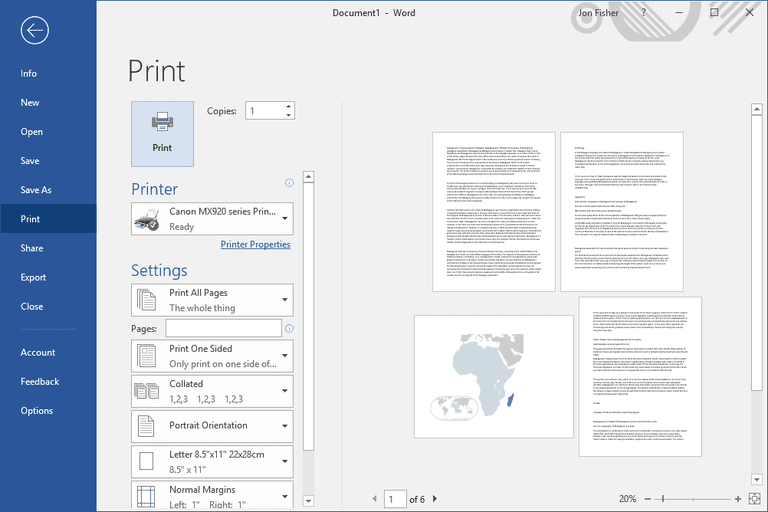 It's easy to change the orientation of an entire Microsoft Word document, but not so simple when you only want to change the orientation of a single page or a few pages. As it turns out, you can insert a landscape-oriented page — a horizontal page layout — into a document that uses portrait orientation, a vertical page layout, or vice versa. You might have a wide table that you need to use in a report or a picture that looks better in landscape orientation. In Microsoft Word, you can either insert section breaks manually at the top and the bottom of the page that you want in the other orientation, or you can select text and allow MS Word to insert the new sections for you. To tell Microsoft Word where to break the page instead of letting the program decide on its own, insert a Next Page section break at the start and end of the text, table, picture, or other object for which you are changing the page orientation. Click the beginning area for where the page should rotate. Click the Breaks drop-down menu in the Page Setup section. Focus the cursor on the page that should have the different orientation. Open the Page Setup details window by clicking the small arrow located in the lower right corner of the Page Setup area in the menu. Pick This section in the Apply to: menu at the bottom of the window. You'll save mouse clicks if you let Microsoft Word insert the section breaks for you, but then they'll be placed where it decides they should be. The difficulty with letting Word place your section breaks comes when you select text. If you don't highlight the entire paragraph, multiple paragraphs, images, tables, or other items, MS Word moves the unselected items onto another page. Make sure you're careful when selecting the items you want in the new portrait or landscape layout orientation. Select all the text, images, and pages that you want to switch to the new orientation. In the Page Setup section, open the Page Setup details window by clicking the small arrow located in the lower right corner of the section. Go into the Margins tab. Choose either Portrait or Landscape from the Orientation section. Pick Selected Text from the Apply to: drop-down menu at the bottom of the window. You can see hidden breaks and other formatting elements with the Ctrl+Shift+8 keyboard shortcut, or by selecting the backwards P icon from the Paragraph section in the Home tab.